The Cooler: Two Super Bowl victories with the Giants? Vikings fans would be thrilled if Minnesota 'wasted' Kirk Cousins’ prime in such a fashion. 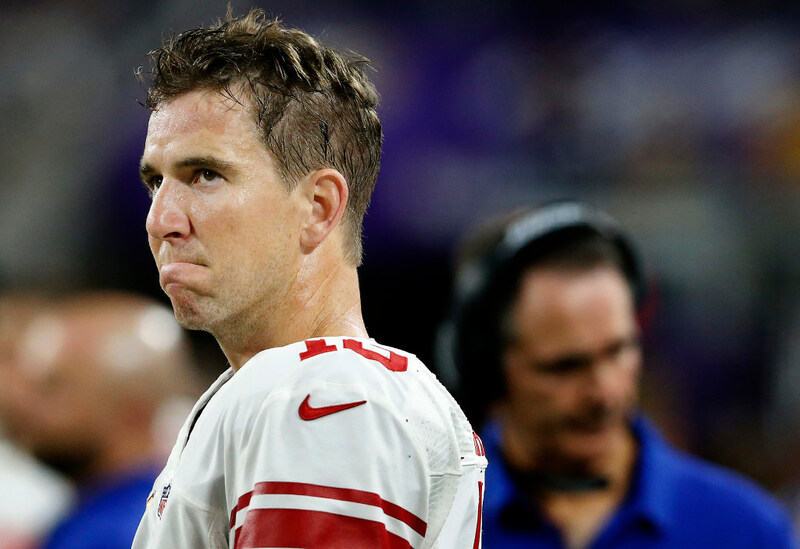 *Every time I see another site referencing a recent story in which two former New York Giants players say the team wasted Eli Manning’s prime, I become angry all over again. Sure, I’m watching this from the outside looking in (and have never played the game), but does anyone aside from Shaun O’Hara and Justin Tuck really believe this? Manning has been a durable, above-average, mistake-prone quarterback who put together two amazing four-game runs — culminating in two Super Bowl wins over the Patriots! — but who otherwise has largely been the master of his own undoing. He led the NFL in interceptions three different years and in the Giants’ four other other playoff berths that didn’t culminate in a Super Bowl, Manning is 0-4 with three TD passes and seven INTs. The Giants often have had stout defenses and capable offensive playmakers during Manning’s tenure. If anything, getting two Super Bowls out of a QB of his caliber is the opposite of a wasted prime. It is squeezing every possible ounce out of it. Vikings fans would be thrilled if Minnesota wasted Kirk Cousins’ prime in such a fashion. *Did you know that our own La Velle E. Neal III caught a foul ball in the press box at Sunday’s Twins game? It’s true! And there’s video! *Speaking of video, here is 70 seconds of Alex Ovechkin and teammates in various venues and in various states of impairment singing “We are the Champions.” The Caps partied hard. The parade is Tuesday, and it’s supposed to be 77 and sunny in D.C., in case you are looking into a last-minute flight. *Old friend Dwane Casey landed firmly on his feet, reportedly getting a five-year deal to coach the Pistons after the former Raptors and Timberwolves coach was dumped by Toronto after a playoff loss to the Cavs. Casey, who was named NBA Coach of the Year in May, should be a good fit with Detroit. Keenum, Bradford or Bridgewater: Who will have best season in 2018?